You can feel it in the air here in Atlanta. Spring. The crocuses are a foot high. The bluebirds are past apartment hunting and now do the nasty in full view. The sun is a little higher in the sky each day. I said to my wife last Saturday morning that it was bike season. Then I renewed the CL bike ads that had been laying there like a lox since New Year's. The bluebirds have it right--four bikes flew the coop in the last three days. First, the 1983 Paramount. A guy called me from New Hampshire. About one of the other bikes. He wanted a bike to keep here in Atlanta for when he visited family. We talked, he said he would probably take it. While we were talking, I asked him what he rode everyday. 'A 1966 Paramount' he replied. Immediately after we hung up I smacked myself upside the head and called him back. 'You should look at my Paramount on CL' I told him. He did. 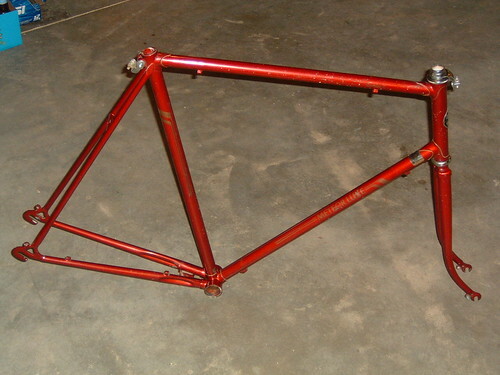 The '82 Schwinn Voyager went to a NYC bound June grad hipster looking for a road bike, who rides track bikes and dismounts in some convoluted legs a jumble jump forward over the drop bars (don't ask--but thank god he didn't smash the bike before he bought it!) who promised to never fixie it. Still in residence is my owned since new 1978 Fuji Sports 10. Its so pretty, maybe the prettiest gaspipe road bike still around. Ok, I'm prejudiced, just a little...but still, its got to go. Its place has been taken by the '84 Miyata Six Ten that's almost finished its winter rebuild. So, what bikes have come and gone out your way? Last edited by mrmw; 02-13-08 at 05:12 AM. Stop rubbing it in or thanks for keeping our hopes up (not sure which) - spring may have sprung in the SE, but definately not in the midwest. With 4-5" last night, we have just broken the all time (Madison, WI anyway) record for snow fall in one season with the promise of more to come in the next couple days. I was able to commute to work in January, but have yet to in February. Come on spring!!! Nice bikes, and funny coincendence about the Paramount! I found a home for my Bridgestone NB-26, but it isn't quite gone yet. And* I was given another Bridgestone that was left up north when we got the property, but I don't know what it is. So I guess I broke even. Our weather stinks, too. A few inches of snow overnight, followed by rain this morning expected to be heavy during the day. Can you say slush puddle? 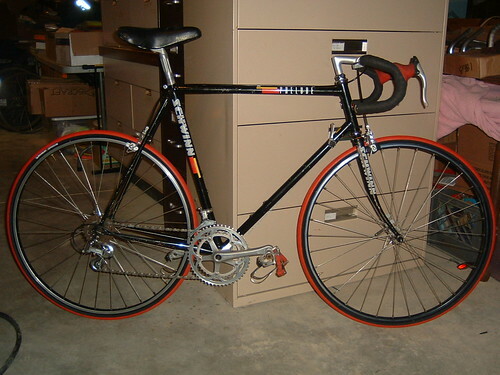 My only sale this winter has been an eBay transaction, my too-small-for-me St. Etienne porteur. I need to reduce the herd by at least two though. I got to see another '83 just like yours at the Stop,Swap and Save last weekend....a 25"! It -37. No spring until April. Bikes: Formerly...1978 Proteus, 1981 Miyata 912, 1983 Schwinn Paramount, 1962 Raleigh Sports Deluxe, 1976 Alan Super Record. That Paramount has me foaming at the mouth all over again. Ice storm here yesterday and still icey rain today. Wish I could sell off some of my 18 bikes. The buying season starts this week. You remember the $2 tempo and such, its that time of year again. Not quite spring in yet, but some bikes have been moving out non-the-less. 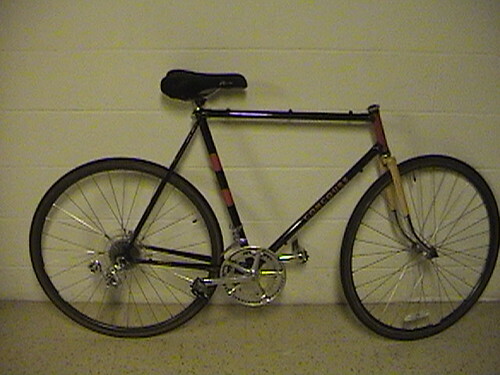 Finally, and I have no pictures, was a 5 speed Rampar with north road bars and a squeaky sprung saddle. Not too bad considering it is still cold and snowy. Yeah, Spring can't come soon enough for me. 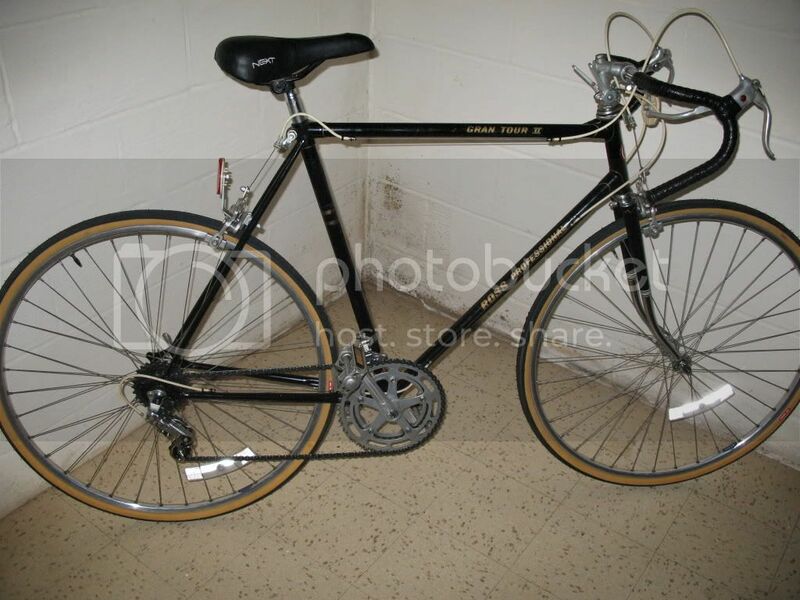 I've picked up several projects, including a Fuji mixte. 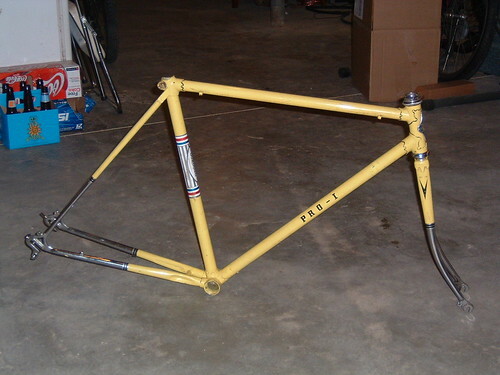 I've also got parts laying around for a Trek 7000 that will eventually be assembled into a Craigslist commuter special. I prefer to do a lot of my parts cleaning outside, and I just can't get motivated to wash wheels in the sink. I've basically stopped trying to sell anything on CL until the weather breaks. 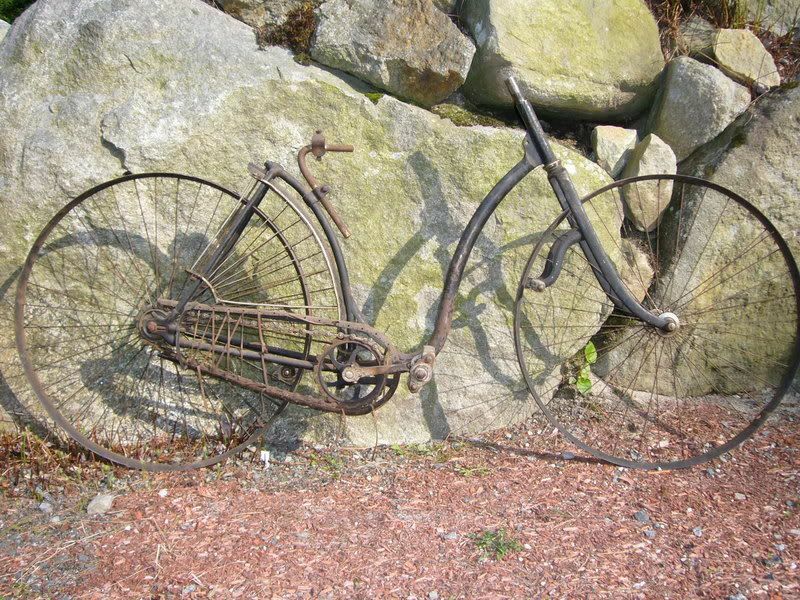 This bike languished for weeks in the basement, with a plan to wait for Spring. I relisted it on a whim to try to free up some space, and it was gone in two days, go figure...I guess someone was looking for a good winter ride. What a nice surprise to see you posting about my new bike! I can't wait to come to Atlanta--- to see the bike and experience spring. We've had the entire mixed bag of winter stuff the last 24 hours, a foot of snow, several inches of sleet, topped off by freezing rain. 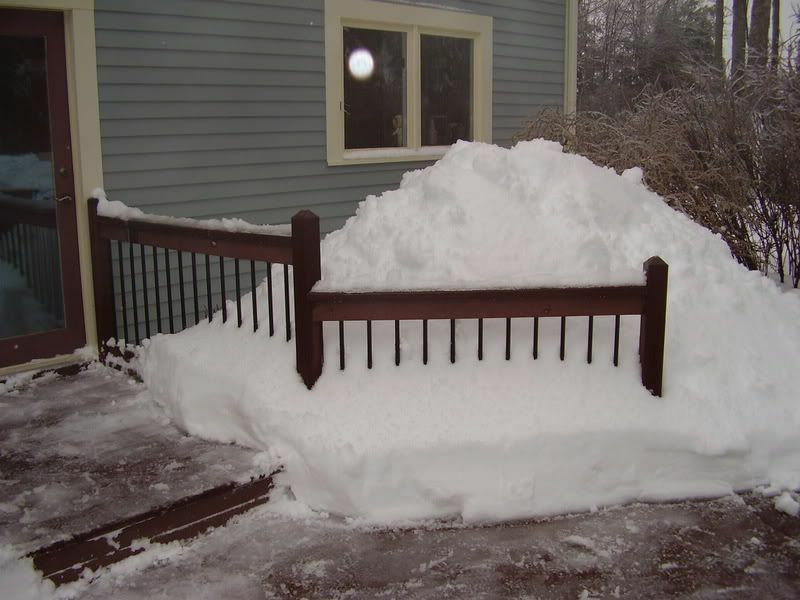 I spent 4 hours on snow removal today. The '94 Bridgestone MB-4 went to the midwest. The '73 Lemon Varsity single speed sold to a local kid in a charity auction. A guy is interested in my '71 Super Sport. And the antique safety bicycle goes to Copake Auction house soon to be readied for their sale in April. 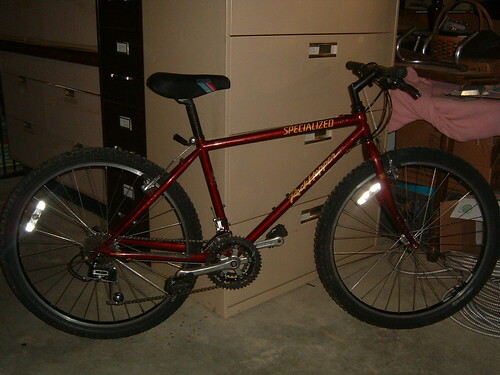 Can't wait to see my new, 25 year old, Paramount! Copake Auction House in Copake, NY? Last edited by YoKev; 02-13-08 at 07:43 PM. Copake Auction House in NY? I plan to attend. Also the bike swap meet the day before. I've got a few things to bring. Copake wants the antique safety about a month ahead of time. I might take it a week from Friday. BTW, this is the Spring weather I'm digging out of. Took four hours today. No bike work for me! Ricohman has us beat for cold, though, if he's listing in F rather than C.
(up 'way beyond the toptube in snow). 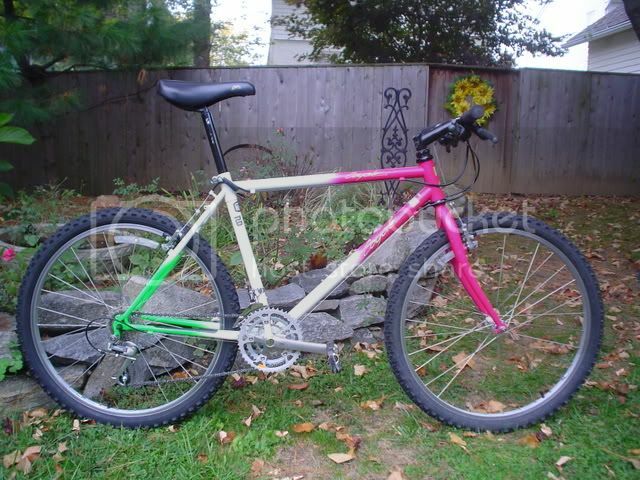 I have only sold one bike ever, which was an '88 Mongoose women's mtb I sold toward the end of summer in '07. I'm not actively trying to sell any of mine, but I could stand to get rid of my Bianchi, my Centurion frame, and my Specialized Epic frame. I've offered them to several folks on CL wanting used road bikes, but after a couple of emails I never hear back from them. That's happened 3 or 4 times now! Are most people really that flaky? I average about 3 dead contacts for each CL sale. not to mention people who say they are coming at such and such a time and never show up. I sold a few this last fall/winter. 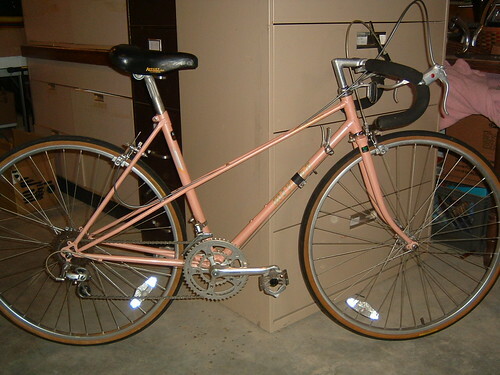 I sold a Nishiki Sport, a Fuji Absolute, Schwinn Super LeTour, and a really nice small frame Trek 330. I wasn't really looking to add to the herd, but a Huffy Concours and a Motobecane Super Mirage fell into my lap. I think it's interesting that the Huffy and Motobecane look very similiar. I'll show pics of all below. A few weeks ago I came across one of those all white 87 Peugeot Ventoux, sorry, no pix yet. Send about 8 inches of that action to North Carolina, and my kids and I will be happy! The most we've seen this year is about 1/4 inch! I'm from KC....I'm in snow withdrawal!!!! This Friday, eh? Any idea on what hour of the day? This 88' Schwinn Prelude found a new home today. and this Concord last week->new owner built into a fixed gear and raced it yesterday in the local alleycat race. I have sold some parts today as well, and a couple people have planned to come out and they hopefully will buy some more parts. I have a couple bikes that hopefully I should finish up in the next week and put up on CL.